Rat poison is the ultimate choice to get rid of rats when the infestation is more. But it is not easy to buy a good rat poison that effectively kills. So, What is the best rat poison that kills rats and mice ? The Rat poison comes in different types we classified into three types such as solid, liquid and Gas. But all comes with chemical mixed substances, they differ from each other based on their active ingredients mixed in the poison and what action does active ingredient done to their animal when it consumed. 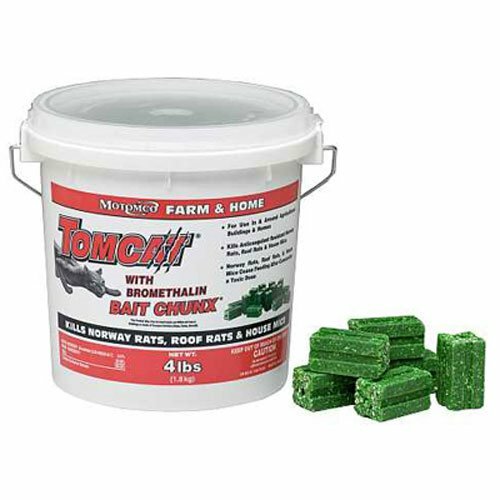 The just one bite bar rat poison contains an active ingredient of Bromadiolone and the poison target the pests such as Rodents, rats, and mice. One Bar can be broken Into 2 OZ Chunks For Bait Stations Or Mounting On Walls. warfarin resistant Roof rats, Norway rats, and house mice also killed after eaten it. This rat poison usage is allowed for both indoors and outdoors place of agricultural buildings only. The highlight feature of this product is nibble ridges by nature rats loves to eat in the nibble manner so it is the best to bait for rats to kill. Place rat poison inside the rat bait station for the safety. Be aware on placing the rat poison and avoid such places like food areas and water. This rat bait is protected from an infestation by insects because it is treated with S-methoprene. By consuming this one bite bar lethal dose the house mice and even Norway rats lead to dead rats. 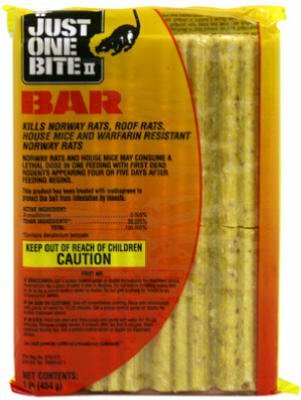 Rodents will be dead after consuming this bite bar poison but it takes 4 to 5 days to see the dead rodents. Blocks are large not fit to bait station. The D-Con Ready mix bait bits weight is 3 ounce and comes in a tray. 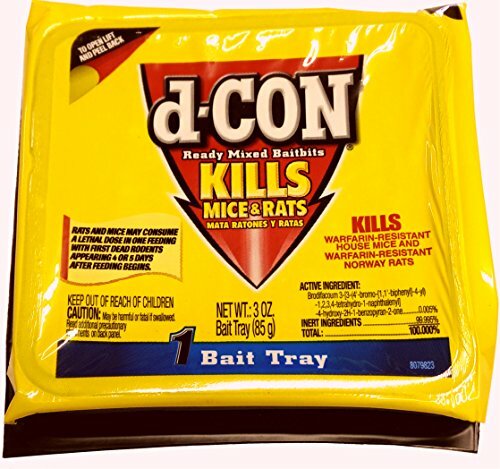 The active ingredient of the D-Con rat poison is Brodifacoum which kills both the rats and mice. The active ingredient is Brodifacoum which contains anticoagulant powerful poison that targets the vitamin k level of the body and stops the ability of blood to clot. Then the poison consumed rodents or animals suffer from internal bleeding which will lead to death. By one feed of consuming the lethal dose, the dead rodents will be dead and come to your visual after 4 or 5 days. It even kills the warfarin-resistant house mice and Norway rats. It is one of the effective rat poison to kill rats why we say it is effective means the tray has more than enough mouse baits. A simple thing you have to do is place the tray which already fills with ready mix bait bits in the appropriate areas where the mouse and rats movements you were seen. Easy to place like under the sink, couch and also under the refrigerator.Easy to place baits even in hard to reach areas. Bait comes with tray is highlight. This product which contains the active ingredient of Bromethalin.It is one of the powerful poison that damage the central nervous system of the animal that eaten this poison mixed bait, finally leads to death. Motomco tomcat is the most effective rat poison that differs from other anticoagulant poison like bromadiolone. 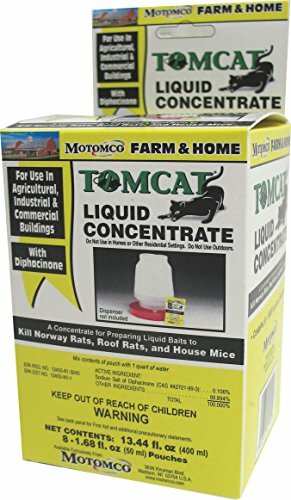 motomco tomcat rat poison is powerful toxicant, so that the anticoagulant resistant Norway rats, roof rats, and mice even killed too. One more important thing is rodents neglect more feeding after swallow this toxic dose because it is more powerful and enough to kill. With a small amount of bait and it toxic power can kill and control more rodents. This mouse poison which can be used in both the house, in and around of agricultural buildings.It is one of the prove bait and also the bait chunk which is patented for gnawing edges. Baits are packed in Nice resealable container. No Antidote for this rat poison contain active ingredient. 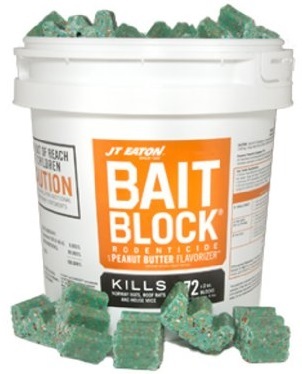 The Jt Eaton bait block contains an active ingredient of Diphacinone. It is one kind of rodenticide and also the first generation anticoagulant bait which is specially designed formulated bait blocks. JT Eation poison for rats is mixed with peanut butter flavor by Nature mouse attract over peanut so that peanut flavor which attracts mice and rats to eat the bait finally gets dead and it is eliminated. 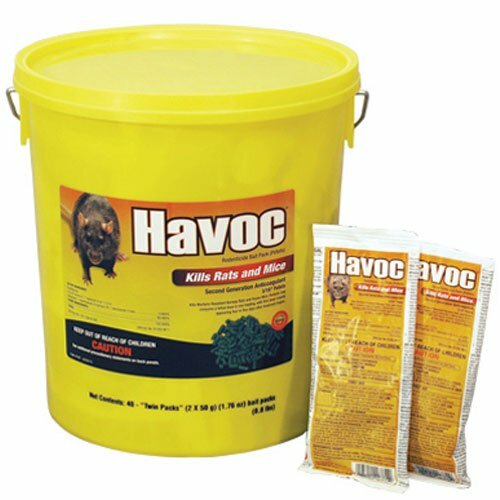 The product package has 144 packs in of 1-ounce rodenticide bait blocks which are tamper evident resealable pail. The bait blocks which is best and suitable for the areas such as basements or in the garage area where the more rats hide. This JT Eaton rat poison blocks come with another important thing that is a one-year limited warranty to protect against the defects in materials and workmanship. Place the bait in two methods by hand baiting and Bait station. The pail is measured as 10-1/4 in inches of height with the length of 10-1/2 inches and width of 10-1/2 inches and finally with the weight of 10.03 pounds. The JT Eaton which is run by family owned and it is run from the year of 1932. Peanut butter flavour bait quickly attracts all kind of rats to eat the bait. Perfectly works for Garages and basements. It is one kind of rodenticide which contains the active ingredient of Diphacinone which has anticoagulant effects of killing the rat and mice.It is specially formulated and prepared to withstand all the weather condition to control the rats. The best area of placing this rodenticide works in both the indoors and outdoors. It is specially designed to suits for the wet and damp areas because these baits are made with weather resistant. It will control commensal mice and rats and also it is fish flavored which makes attracts to rats to eat this bait. Place this bait in the area of buildings where the movement of rats and mice which are seen. The placing of baits for both the rats and mice are different so follow the instruction and how to place the bait to get a better result. Be cautious and follow the instructions on how to work with safety and avoid the health problems. All weather resistant rat poison bait. Suitable for wet and damp areas. The havoc mouse and rat killer poison blocks contain brodifacoum as an ingredient that is powerful anticoagulant poison. It comes in the form of pellets so it is easy to place and ready to use. The rat poison is in pellets form and bait is resistant to weather, after consuming or single night feeds the rats and mice dead. Another thing is the bait comes with packed the bait can be placed over the rat movement areas without removing the bait from the package.The rodents will directly chew the baits through the package. It is one of the second generation Anticoagulant poisons to kill rats and mice. It is perfectly suitable for the areas where to place the baits are in and around the agricultural buildings only. The powerful Havoc mouse and rat killer even kills the warfarin resistant Norway rats and also house mice too. After consuming this lethal dose by the rodents in one-night feeding the first dead rodent will be visible or appears after 4 or 5 days. Follow the direction of use of this product with carefully and attain the best result and avoid the problems. Kill rats by one night feeding. Second generation Anticoagulant bait poison keep pets and children stay away from this bait. The Giant destroyer is one kind of mouse and rat killer and entirely different from all other rat poison. Do you want to learn how? Giant destroyer which works like smoke bombs when you placed into the burrows where the rats hide and live. The burrows in which the gophers, moles, woodchucks, skunks and ground squirrels also hide and live so they used gas destroyer to kill them. Because people who get frustrated and damage in their lands, crops and also in gardening. How it is working by lighting the fuse on the cartridge and placing the giant destroyer tube in the entrance by quickly cover the cartridge and the hole with soil. Afterwards, the cartridge releases a sulfurous smoke into the runways deep to the burrows which kill the rat. It is also called as a Rapid gas killer which is perfectly suitable to the burrowing rodents and tunneling. It also works against of gophers, moles, ground squirrels too. Read the instructions completely which mention in the product details. 1. First, you have to find the main runway and clear the opening for easy to insert the cartridge. 2. 2. Check and be sure that all openings are sealed. Prepare first by collecting the not-flammable items or soils, rock to cover the hole. 3. Afterward, Insert the fuse into the cartridge and ensure that atleast 2 inches of fuse which stick out in the cartridge.so that you can light the fuse easily. 4.After finishing of fuse insertion work in cartridge, light the fuse. 5. Insert the cartridge into the hole fuse end first. cover the hole immediately using sod and prevent the gas escaping hole by coverings. Avoid breathing of cartridge smoke. 6. The minimum time requires for fuse burning is 5 seconds. 7. The Giant destroyer tube which is strictly used only inside of burrows and don't use inside of buildings. 8. It is specially used to kill the moles which also work for rats and rodents who hide in burrows. 9. One more trick is for how to locate the main runway: Look for the fresh conical mounds of dirt. 10. It is made in USA product manufactured by Atlas Chemical Corporation and follows the instructions and which is directed on package. Never light the cartridge directly. Never hold a burning cartridge in your hands. Avoid breathing the cartridge smoke. 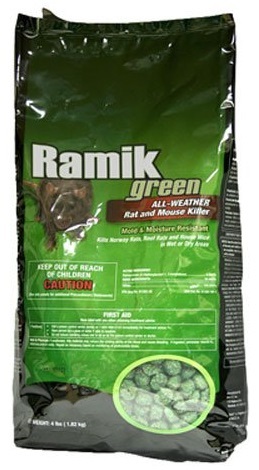 Eliminates the rats and rodents live in hole or tunnel. Perfect for animals lived in burrows. It is not ready to use need some preliminary preparation. The Liquid concentrated bait which is not only a kind of rat poison but it is also in different based on the bait type. It is based on the liquid so it differs from other bait poison to kill rats. The Tomcat mouse and rat liquid concentrated bait which is an effective rat poison to kill and control the rats and mice, it also works exceptionally to control rodents. It is liquid bait rat poison it works in dry conditions also.The active ingredient is the sodium salt of Diphacinone which has the anticoagulant effect and also consider as one of the pesticide. The technique or formula they think on creating this liquid bait poison is all rats need water whereas mice drink water on available.so they create this bait in liquid type apart from other type of baits like pellets and chunks or blocks. By mixing the contents of the pouch that contain the concentrate with the one quart of water for preparing liquid bait poison. After preparation you need a product dispenser which does not include, To Pour the liquid bait prepared mix in the dispenser and place where the rats and mice movements visible. You can place the prepared bait mix in the suitable bait stations, chick fount and also other bait station. Increase the dispenser as per requirements if the rats and mice are more or less.It is only used for the agricultural lands, industrial and commercial buildings only.Don't use inside the house and other residential areas. The concentrate liquid bait poison is effective which can kill the Norway rats, roof rats and house mice. Exceptional in control of rodents. Additionally Dispenser or suitable bait station required to place the liquid bait which is not included. These three ingredients are rodenticide which describes it can kill Rats and Mice. It has vitamin k antagonist and acts as Anticoagulant so it stops the blood from clotting and leads to death. These poisons are differing from other poison. Other poisons require many days of feed to kill rats or animals whereas bromadiolone, brodifacoum and Diphacinone which are lethal and kills rats by single day feed. For this Anticoagulant poison rat killer the Vitamin k1 is Antidote to treatment. It is a single dose rodenticide and an anticoagulant.For rat killing the ingredient, bromethalin contains very low percent. It affects the nervous system and leads to the dead when consumed it. For this Bromethalin poison, there is no Antidote so be aware and cautious of using this rat bait. For the safety use this rat bait with proper protection by using the rat bait station which is good for all and avoid the health hazards. By technically these rodenticides are classified into three types based on the single dose of consuming by rats or animals and how quick it will kill. 1. First generation poison: Anticoagulant rodenticide which is Diphacinone which is less toxic and has killed half of the life of rats. It is also called as warfarin. 2. Second generation poison - Anticoagulant Rodenticide which is Bromadiolone and Brodifacoum. It is high toxic than the first generation and it will kill on a single dose of feed by the rodents which are resistant to the first generation poison. so that these second generation anticoagulants are called as superwarfarins. 3. Non-anticoagulant Rodenticides - It is Bromethalin which is powerful poison and has no antidote but care and supportive. Pets which have eaten this by unknown or accidental immediately seek the veterinary. 1.The handlers and applicators are first ensured their safety by wearing long sleeved shirt, full long pants, socks, waterproof gloves. ​2.The person who is trying to remove the carcass or bait remains unused must wear the glove, and then enter into action which is for your health safety. 1. It is harmful when swallowed. 2. By kept away from the children, pets, and domestic animals to ensure safety and healthy. 3. Do not get in eyes, on skin and clothes. If swallow - call a poison control center or doctor advice and for treatment immediately. If gets on skin or eyes or clothes - take off clothes that contaminated immediately. Rinse the skin immediately with a lot of water between 15 to 20 minutes. Make a call to doctor advice immediately for treatment. If you inhaled - moves out from the environment and go out for fresh air. If the person has a problem in breathing immediately call an ambulance or doctor for medical treatment. Avoid the rat bait to contaminate food, water, and feed by wrongly place it and dispose of it. Store the bait poison: You must store it in the original container and also in cool place and in a dry area. Place pesticide stored container by kept away from other chemicals not to contact. Keep away from children and pets. Disposal and handling of carcasses (dead rats): Dispose of dead rodents in the trash of empty No refillable and not reuse container which is approved waste disposal facility.